New Product will be released. Collaboration flights in Juggler Queen version. 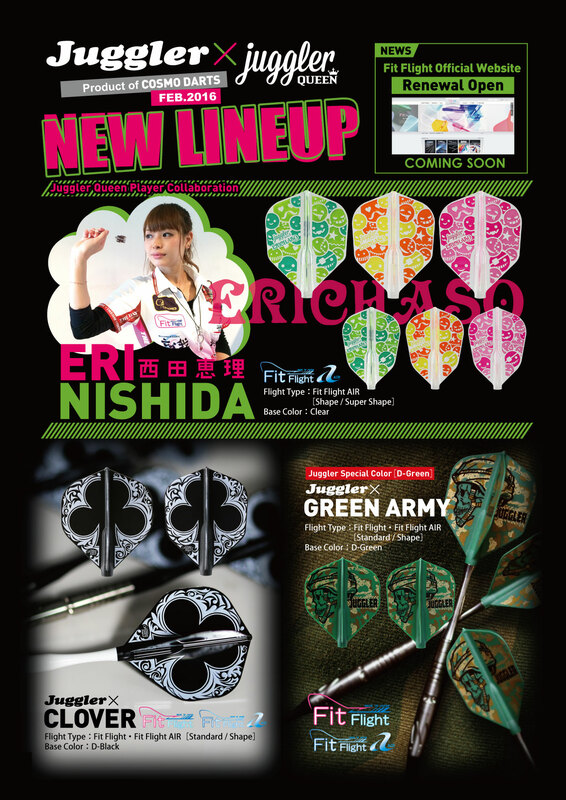 Eri Nishida is playing JAPAN Ladies Tour and this is her first model. 3 colorful flights are in one set. A completely new color, D-Green is created just for the GREEN ARMY design! The above products are available for sale from February 23rd, 2016.